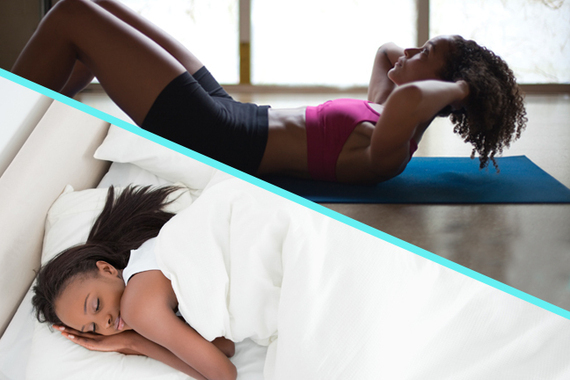 In a very impactful study at Northwestern University's Feinberg School of Medicine, researchers investigated the bi-directional relationship between sleep and exercise. This study is fascinating because it did not just study the effects of exercise on sleep, but also the effects of sleep on exercise. It concluded that exercise did not appear to have an immediate impact on sleep but showed that sleep did have an immediate -- and significant -- effect on exercise. The subjects had shorter exercise sessions after nights when they slept poorly. This relationship of poor sleep to diminished exercise was strongest among subjects whose sleep was the most challenged at the beginning of the study period. • Eliminates high-stress pressure points. • Reduces tossing and turning. • Provides a sleep environment more conducive to relaxing, restorative deep sleep. An adaptive sleep environment optimizes each of these different factors for each individual, even if they share a bed with a partner who might have significantly different requirements at any one time. Creating a healthier, happier life doesn't need to be complicated. By simply incorporating an adaptive sleep system, my recommended choice is the Kenko Naturest Sleep System, into our bed and adding the sleep tips suggested in my first and previous articles, we will begin to create our personal revolution that will change our culture, our thinking, our workplaces, and our lives. Please share this with your friends and significant others. To find out more about the Third Metric and Sleep read Thrive, Chapter One, "A New Blueprint: Time to Renovate the Architecture of Our Lives." To find out more about the Kenko Naturest Sleep System contact Jackie at; thrive.huffpost@gmail.com.